SAN FRANCISCO — Wine Institute and Compli have collaborated to launch a members-only portal that provides state-by-state compliance information for wineries that sell through the three-tier system. 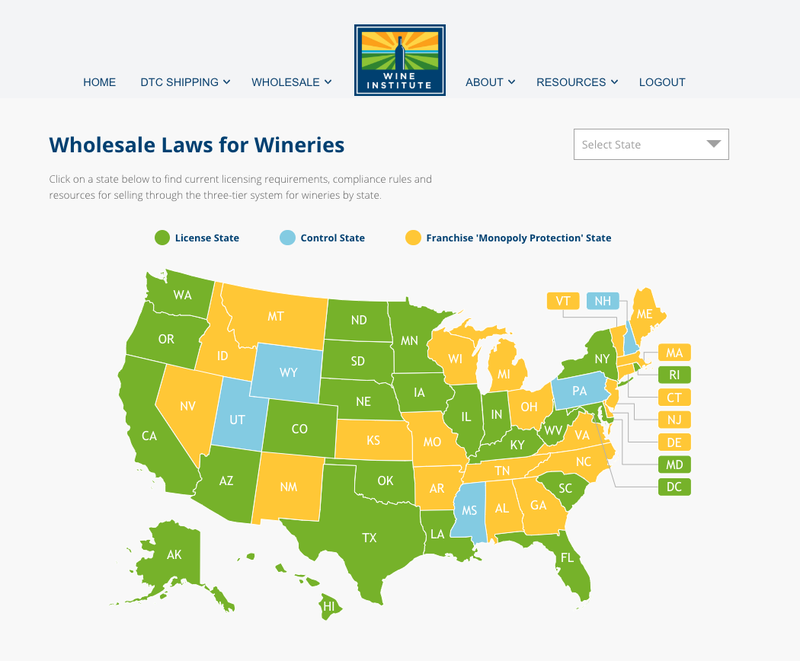 This brand-new resource, which aggregates wholesale rules, documents and forms, is located on the Wine Compliance Rules website launched earlier this year and is only available to Wine Institute members. Most wineries sell through both the direct-to-consumer and three-tier channels. These models support one another and offer diverse revenue options for wineries to strengthen their businesses and grow their brands. The site now provides information and resources for both the DTC and three-tier compliance rules and regulations. The goal of the new portal is to provide winery members with a tool to navigate the rules for selling through the three-tier system. “We’re making these rules accessible so that wineries can easily understand how to do business in each of their sales channels and maintain compliance,” said Steve Gross, VP State Relations, Wine Institute. “We fully support Wine Institute and the work they do and are passionately invested in the success of the industry. We are thrilled for this partnership and the opportunity to share our expertise in DTC and Wholesale compliance to make the wine business stronger, together,” said Rachel Dumas Rey, President, Compli. Wine Institute is the advocacy association for California wine representing 1,000 wineries and affiliated businesses from the beautiful and diverse wine regions throughout the state. As the largest public policy association for California wine, and the only group representing the industry at the state, federal and international levels, Wine Institute's Officers, Board of Directors and professional staff work to create an environment where the wine community can flourish and contribute in a positive fashion to our nation, state and local communities. Since Compli was established in 1997, it has earned a reputation as the most trusted group of compliance professionals in the alcoholic beverage industry. Compli provides the full spectrum of compliance services, information, and technology to producers, distributors and importers of alcoholic beverages in the United States. They are known throughout the country as the industry leader in beverage compliance and have served more than 3,000 wineries, distilleries, breweries, wholesalers and importers.